Murray Percival Company now represents Akrometrix Surface Measurement Tools. Michigan headquartered, national electronics provider Murray Percival Company, (http://www.murraypercival.com/) has announced the addition of Akrometrix non-destructive surface measurement tools to their extensive lineup of electronics assembly and repair product offerings. Akrometrix products will be offered throughout their five state upper Midwest territory. Akrometrix is a Georgia-based company founded in 1994 to provide services and equipment to measure and resolve thermo-mechanical surface flatness issues in manufacturing and assembly operations, most notably in the production of electronic circuit substrates and components. Its pioneering technology was based on the research of Dr. I. Charles Ume, a professor at the Georgia Institute of Technology (Georgia Tech). Akrometrix licensed and commercialized the application of Dr. Ume’s technology, which today serves as a crucial component in the production and continued miniaturization of advanced electronics products. Akrometrix has since become the industry leader in real-time metrology emphasizing resolution of thermo-mechanical issues at all levels of electronic materials production, components fabrication and assembly processes. Today, Akrometrix has two primary product lines: TherMoiré systems for engineering and production evaluation applications, and LineMoiré Automated Flatness Inspection Systems for production line applications. 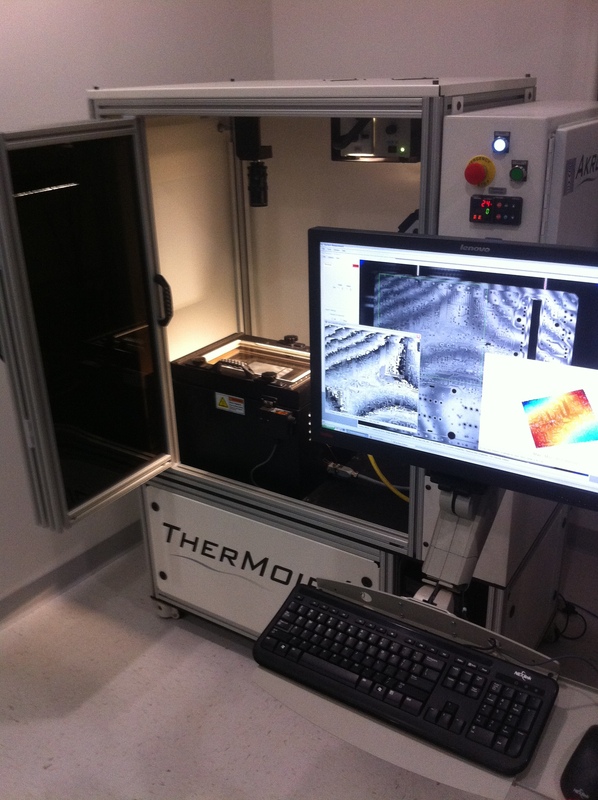 The LineMoiré product line is the first warpage testing equipment that can be installed on production lines at time zero of the production process, allowing manufacturers to test individual substrate flatness prior to the component placement and solder reflow without adding to the throughput time. Manufacturers who are continuously pressured to reach higher yields and traceability standard are able to proactively manage these specifications as well as identify potential production failures before placement of components, yielding significant cost and production time savings. Visit us at http://www.murraypercival.com/ .